I remember going to see Contact at a midnight show when it first came out in 1997. I was 26. Now that I’m 43, the thought of going to see a movie in the wee hours of the morning fills me with insurmountable dread. A working man’s got get his beauty sleep. 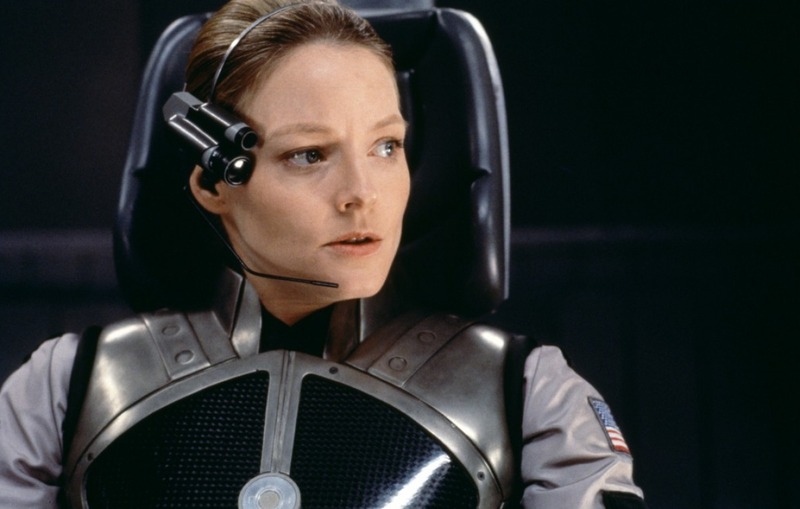 In any case, my memory of the film included many things that had captured my attention: Dr. Ellie Arroway (Jodie Foster) receiving radio signals from extraterrestrials and trying to decode them; the building of a high-tech futuristic machine designed to meet the aliens; James Woods hamming it up as the U.S. National Security Advisor. But I also seemed to remember tons of ridiculous stuff, like Ellie’s trippy love interest/antagonist Palmer Joss (Matthew McConaughey), a cornball score by Alan Silvestri, and an ending that made director Robert Zemeckis’ melodramatic Forrest Gump (1994) a classic of understatement. Not completely trusting my instincts, and in preparation for my review of Interstellar (2014), I decided to take a look at Contact again. I wasn’t wrong. It pretty much holds up to my earlier impression, except that now I was a little more surprised by the film’s naive notions of faith versus science, pretty clumsily told through dialogue such as “Ironically, the thing people are most hungry for – meaning – is the one thing science hasn’t been able to give them.“ Really? I think science gives a lot of people plenty of meaning, thank you. I’ve never read anything by cosmologist Carl Sagan, but he’s been on my list for a long time. I know Contact was his first and only fiction novel, but I doubt it is as unsubtle as the film itself. Should you watch it? If you’re into sci-fi, I guess. My pulse still quickens at the end when Ellie gets on the device that will transport her to galaxies unknown. Buried inside Contact is a much better movie. Time for a remake?